For the conqueror in every truck owner, the Aries grille guard offers the tough, trail-ready look you demand. It begins with a one-piece frame of 1/4 inch thick welded plates and 1 1/2 inch mandrel-bent steel tubing for a solid build. Each one is made with a vehicle-specific design for a better fit, easier install and more secure mounting. 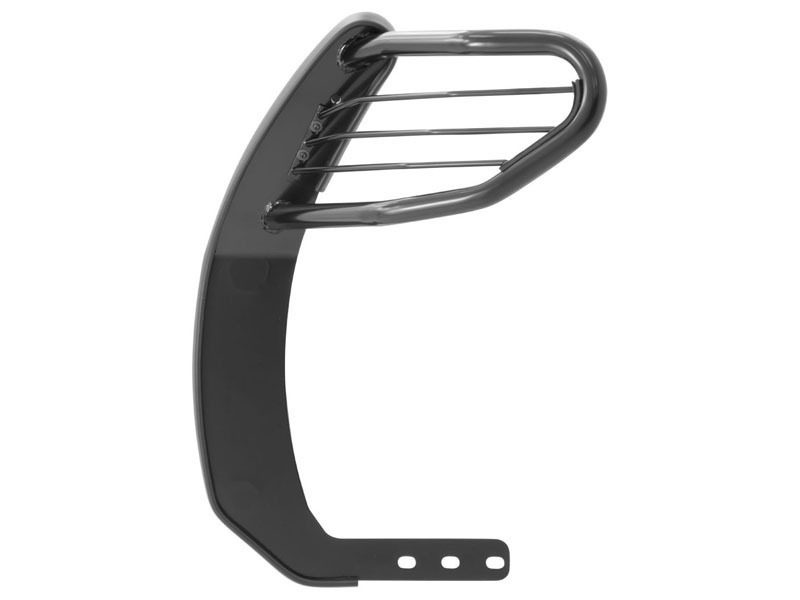 The side brush guards are custom-bent to contour to the profile of your vehicle, while the mounting brackets are positioned for a no-drill application. This means pre-existing factory holes are used to ensure optimum fitment and less vibration. 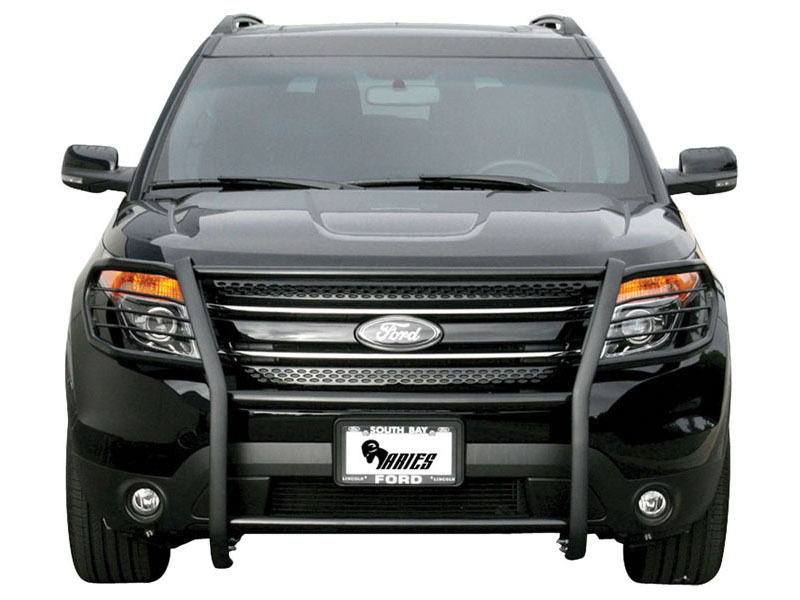 The Aries grille guard also makes it easy to customize the look of your vehicle. 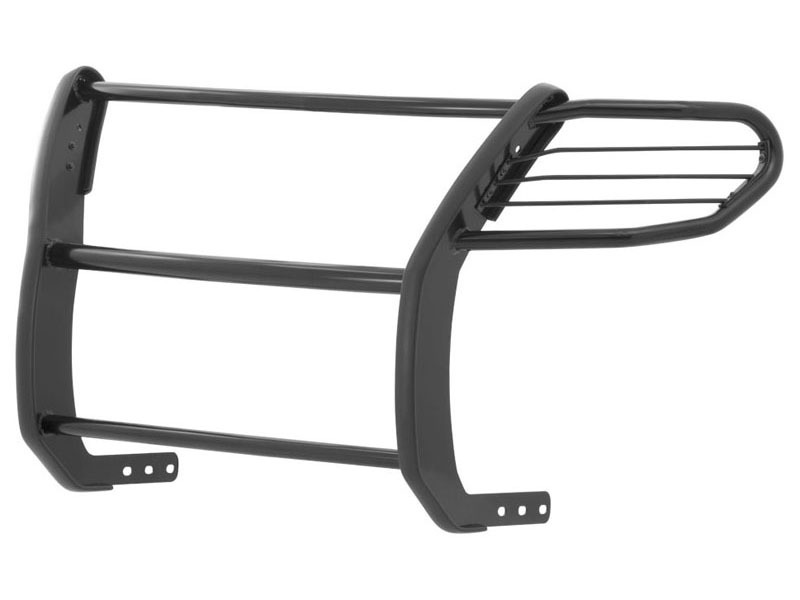 Not only does the crossbar have two pre-drilled holes for mounting aftermarket LED lights, but many of our grille guards are also available in two finish options -- polished stainless steel or semi-gloss black. The stainless steel grille guard is made with 304 stainless, being high in nickel content and truly resistant to rust and corrosion. This finish option comes with a mirror-like polished finish for a definitive shine. 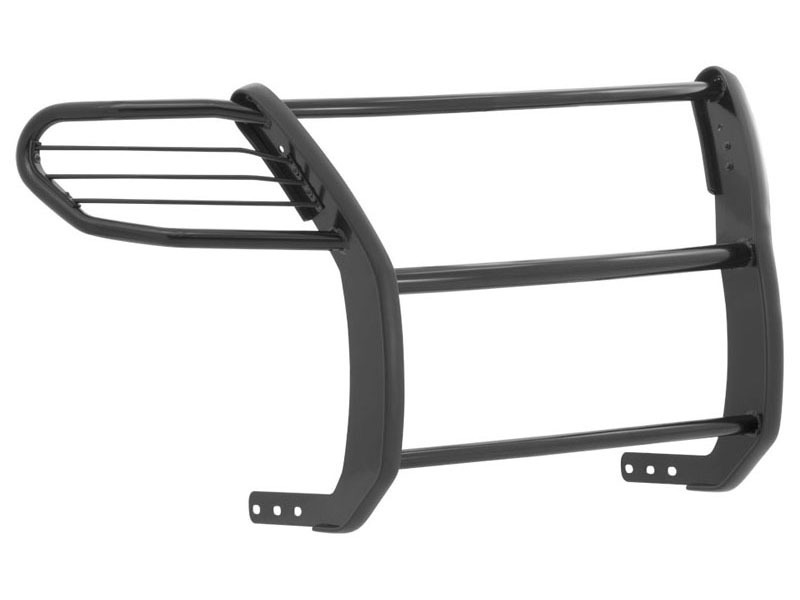 The semi-gloss black grille guard is made with high-strength carbon steel for added strength. 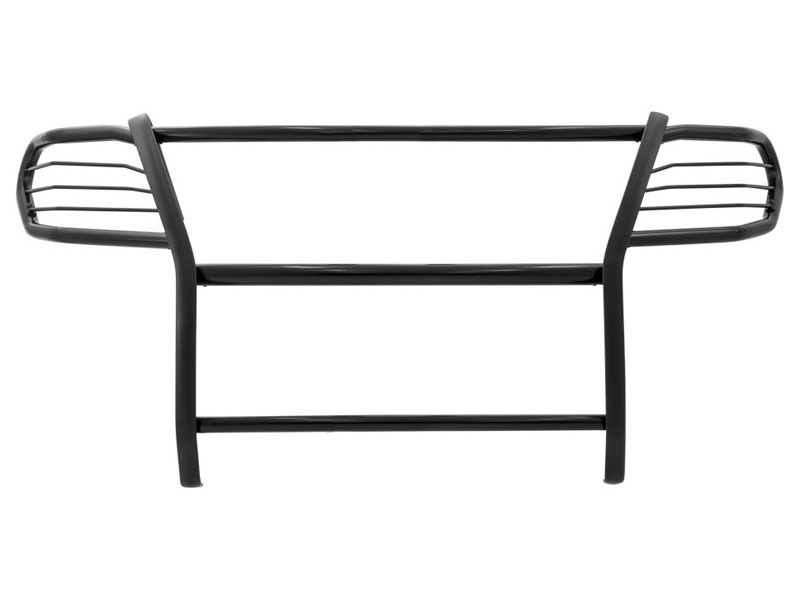 It features a tough black powder coat finish to protect against rust, scratches and the elements. All grille guards also come with rubber stripping along the risers to protect the frame against scuffs and scratches. Whatever terrain you choose to conquer, we dare you to conquer it with the Aries grille guard.